The market has been very quiet due to the largest fishmeal importing country, China, waiting for a further price correction with many buyers putting trade on hold. In the first nine months of 2015, both Peru and Chile recorded the lowest export volumes over the past six years. After the long rationalization of fishmeal and fish oil prices over the first half of 2015, high expectations for a strong El Niño have started to push up prices again in the third quarter. However, the authorization of the second anchovy fishing season in Peru reduced pressure on supply for the near term. In the long term, the general upward trend of fishmeal and fish oil prices is irreversible. Fishmeal production for the first nine months from IFFO member countries decreased slightly. This decline is mostly due to the extended impacts of the cancellation of the 2014 second fishing season in Peru based on a negative finding by IMARPE on anchovy biomass. According to Undercurrent News, the daily catch level of anchovy in Peru was around 21 000 tonnes in November, while the overall quota for the second fishing season was set at 1.11 million tonnes, and catches so far did not include a high proportion of juveniles. In Europe, production remained stable during the first nine months of the year but was not able to contribute significantly to fill the supply gap. For fish oil, production in the first nine months stayed stable compared with the same period last year, with slightly less contributions from Peru and Chile. The higher quota of menhaden will help with supply levels. Peruvian exports of fishmeal during the first nine months of the year dropped to 521 200 tonnes, which was a decline of -30% compared with the same time period last year. In addition, this was the lowest volume for that period in the past six years. China took almost a 76% share of Peruvian fishmeal, which in contrast was the highest in the past six years. Chile only exported 141 600 tonnes of fishmeal in the first nine months, accounting for less than 70% of the volume for the same period in 2014. Lower exports in both countries were due to lower production and high prices. In the case of fish oil, both Peru and Chile reported lower level of exports for the first nine months of 2015 compared with the same time period in 2014. China remains the leading importing country of fishmeal, however the market has shrunk tremendously. According to IFFO, the average annual growth of fishmeal consumption in China is at about 1.5% compared with 7% some years ago. Chinese buyers acquired 722 400 tonnes of fishmeal during the first nine months of 2015 which was the lowest purchased during this period in the past six years, mainly due to the general slowdown of the economy. The main reduction was recorded in shipments originating from Peru and Chile. Norway also reduced its fishmeal imports for salmon, most notably from Peru. 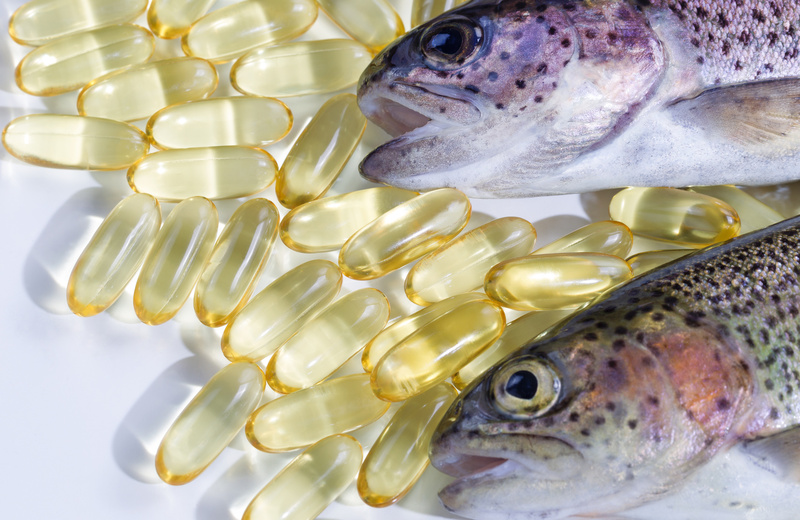 The same supply constraints exist in the fish oil markets. The increasing volume of fish oil demanded for direct human consumption further complicates the situation. China is now importing much larger supplies from Viet Nam and India than from Peru due to competitive prices. According to IFFO, for the first eight months of 2015, Viet Nam took a 41% share of the total amount of fish oil shipped to China. India, the second largest supplier of fish oil to China, took a 22% market share during this same period. The first anchovy fishing quota in Peru for 2015 recorded landings of 2.58 million tonnes, which resulted in about 600 000 tonnes of fishmeal production. Prices of fishmeal continue to rationalize from their peak last year. With more and more evidence for a strong El Niño building over the Peruvian summer season (December to March), market anxiety about whether the second quota would be authorized caused prices to be pushed up again beginning in August. The Peruvian Government authorized the second fishing season to start on 17 November, and this helped ease pressure on fishmeal prices to some extent. Fish oil prices have also witnessed the same upward trend as fishmeal prices since late 2014. However, from June 2015 fish oil prices have stabilized. Soymeal prices remained low from the end of 2014/beginning of 2015 in line with the general trends of fishmeal prices during this time, before fishmeal prices grew due to anxiety over a forthcoming strong El Niño. In November, the ratio between the prices of fishmeal and soymeal reached 4.7:1, which was attractive enough for feed producers looking for alternative raw materials. In general, the fishmeal and oil sector remains vulnerable due to its limited supply sources, with not much progress being made in this regard as demand continues to increase. Furthermore, according to IFFO, the global production of fishmeal is down by about 2.3 million tonnes compared with production in 2000. In both 2014 and 2015, the El Niño phenomenon significantly affected the actual catches, as well as the expectation of anchovy catches in Peru, which is by far the major fishmeal producer and has been for many years. With these impacts, prices have fluctuated over the past two years, but in the long-term, prices will not revert back to lower levels. Diversification of sourcing can be part of the pressing supply situation although it will not be immediately rewarding, as new sources will take time to develop. So far, African fishmeal supplied to Europe, Southeast Asian fishmeal to China, and Irish fishmeal to Chilean salmon farmers have been some of the new and developing channels. In the short term, the authorization of the second anchovy fishing season in Peru has eased some market anxiety. Also helping the situation is the fact that recent catches in Peru have not included a high proportion of juveniles. It is likely that markets will become more active at the beginning of 2016, when Chinese buyers will need more fishmeal in hog and poultry production for the Chinese New Year. However, it is not likely that the peak prices of last year will repeat under the current slightly better supply situation.